Dr. Richard Ford is emeritus professor of medicine at the North Carolina State University College of Veterinary Medicine in the Department of Clinical Sciences. Dr. Ford received his DVM from The Ohio State University, where he also completed a graduate degree in physiology. After serving 3 years on active duty with the U.S. Air Force in Japan, he completed a residency in internal medicine at Michigan State University. Subsequently, he accepted a position as assistant professor of medicine at Purdue University. 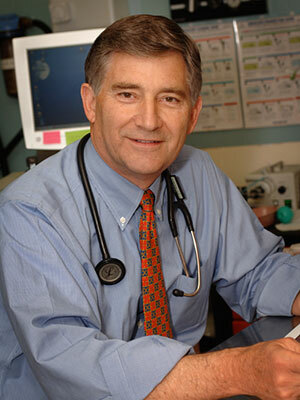 Dr. Ford is a coauthor of both the AAHA Canine Vaccine Guidelines and the AAFP Feline Vaccine Guidelines. He recently retired from the Air Force Reserve as a brigadier general, where he was assigned to the Office of the Surgeon General at the Pentagon. Session 2 of 5: Merial State of Vaccines: Protecting Your Patients Symposia Vaccines and vaccination technologies continue to evolve, challenging veterinarians with new, sometimes complex—even conflicting—information. Get an expert’s guidance on selecting and using canine vaccines. 1. Learn about the law and your liability as it relates to canine rabies vaccination-related issues from a case-based perspective. 2. Answer some of the more common controversial questions about current vaccination protocols raised by practicing veterinarians. 3. Discuss vaccines and vaccination technologies and the competing messages.